Electric scooters are coming to Durham. 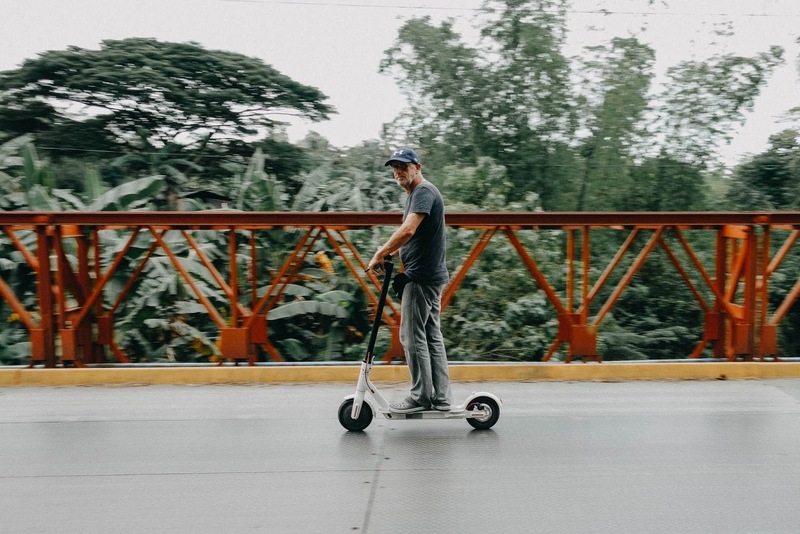 Companies like Lime and Bird have already deployed scooter sharing (similar to the bike sharing model you see around Durham) in cities across the United States, including Raleigh. The timing for their Durham arrival is unclear, but it's coming very soon. The City of Durham has done a great job of putting together a policy before the scooters actually get here (unlike most cities that have had to scramble to figure out policies after companies dumped scooters onto their streets). E-scooters have obvious environmental advantages over cars. They are smaller than bikes and even cars, so more scooters could travel in the same space without facing congestion. Unlike a bike, you don't arrive at your destination tired and sweaty (which may be good for exercise, but this fact is why a lot of people don't commute to an office via bike). There are no perfect solutions in life. Just take the promise of autonomous vehicles. They may improve safety and give us our time back (we can sleep, converse, or get work done while commuting), but may encourage sprawl and create even more congestion (think cars roaming around the city, empty, waiting to pick people up instead of parking somewhere). They are silly and hard to operate: Sure, people do care about looking cool and are scared of new tech at first. But if the benefits are there, either the scooter design will change OR our perception of what is "cool" and "easy" will change. Scooters are not inherently difficult to operate. They are just new. They will litter our streets: This is one reason why the Durham policies are so important, to combat this potential problem. That said, I have always liked seeing the dockless bikes around Durham. To me, they are signs of the life and vibrancy of the city. They are unsafe: E-scooters have been involved in crashes and even some fatalities. These incidents are truly sad. However, I think the title to this post sums up my feelings: "If you think Lime scooters are a safety menace, wait till you hear about cars". It can be argued that most of the safety issues with scooters are caused by cars, either directly from a crash, or because our infrastructure is geared so heavily to the automobile. Putting the blame on the scooters might be a bit of victim blaming. There are also some concerns about the cost and the fact that lower-income people might not be able to afford regular scooter rides (if they are commuting to a bus stop, can they afford the bus fare AND the scooter ride both ways?) This wouldn't be a detriment to low-income individuals, there would just be an uneven benefit. This argument is also a good one, but the solution isn't banning e-scooters so that NOBODY can benefit. The solution is working to get the policy right. Companies are required to move or re-park scooters that are in the way or on their sides. If this is not done within two hours (twelve hours overnight) and the city must step in, the fee is applied. Companies are required to report trip data to the city as well as crash data to the police/DMV. There is a lot more in the policy that I didn't cover, but these highlights address some of the concerns people have with e-scooters. There are policies to ensure that the scooters don't crowd/litter the city. There are policies that address equity (do they go far enough? we will see). There are measures to improve safety (side note: I think that until we get better dedicated lane infrastructure, safety will continue to be an issue, mainly due to collisions with cars). I also wanted to highlight the fact that the city gets DATA! 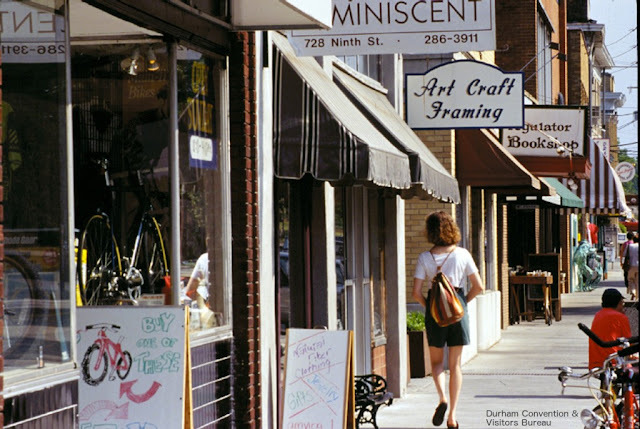 Data of this magnitude is sometimes overwhelming to cities, but if Durham can handle it, they could get amazing insights about the travel patterns of Durhamites! Safety and accessibility could be greatly improved by providing infrastructure in high-use areas (and there would be actual data backing up proposals like installing protected lanes). any other costs that they might run into. We will see if they got the fee structure right. For comparison, Raleigh will charge companies $290 per application and $300 per scooter per year. Indianapolis charges $15,000 for an application and $1 per scooter per day ($365 per year). What is the right fee structure? One that won't scare away scooter companies (or make them increase their prices), but still cover costs for the city? We will have to wait and see, but I hope the city is nimble enough to adjust if need be. In the future, it might also make sense for these companies to also contribute to infrastructure improvements for the city. Better infrastructure means more users (and more money). There have been 16 scooter-related accidents since they arrived this summer, and Wake EMS has been called about 20 times. Raleigh Police Chief Cassandra Deck-Brown said the department has issued two citations including for driving while impaired. Scooters have also been used in at least one robbery and drug deal, she said. “I don’t want to say ‘I told you so, but I told you so,” council member Dickie Thompson said. He originally wanted the scooters banned. “This problem is out of control,” Thompson said. It is unfortunate that accidents happen and bad actors use the scooters for illegal activities. However, Thompson's response is ridiculous. For perspective, it would be interesting to know how many times EMS was called for car accidents and how many cars have been used in illegal activities. Does Thompson advocate for banning cars in Raleigh? Blaming the mode of transportation is silly. When the uncle that nobody likes shows up for Thanksgiving, do you blame the car that drove him there? When the scooters do arrive, I encourage you to get out of your comfort zone and take at least a FEW rides on these scooters when they arrive. If possible, use it with a specific purpose in mind: commuting to work, going out to dinner, etc. See if using a scooter for medium-range trips is a better experience for you, once you get used to the "silly" factor. *The ordinance also covers shared bikes, but some of the policies differ from electric scooters. I only focused on the electric scooters in my bullet points. - Unlike a bike, you don't arrive at your destination tired and sweaty (which may be good for exercise, but this fact is why a lot of people don't commute to an office via bike). We aren't California; we aren't 65-75 degrees and sunny for 90% of the year. In my experience, 50-75%+ of days here, at some point between early morning and late evening, it's either too hot, too cold, or too wet to make walking or biking an attractive or comfortable option for getting around town--sometimes we get all three in the same day! No one wants to show up to work or to hang out drenched in sweat, or walk 20-60 minutes to get across town if it's freezing cold and windy. And we do have plenty of small disjointed locations that could be well-served by no longer having to drive between them to visit them in the same day. Agreed - if I could get from 9th street to downtown, to the DIY district all in one day without having to deal with parking or getting sweaty. Life would be really good!